Disclaimer: I have been compensated for this post however all opinions are my own. 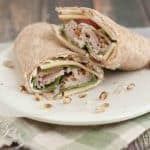 With it’s salty sweet and crunchy combination, this Turkey Apple Honey Pecan Wrap is sure to be a hit. Simple to put together for an easy lunch too! 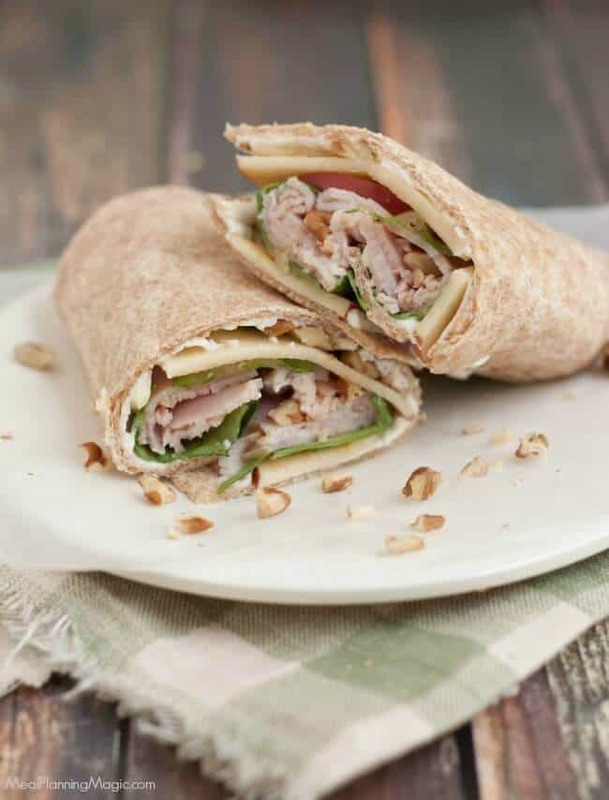 Click here to PIN this Turkey Apple Honey Pecan Wrap recipe to Pinterest! And keep reading to learn how you can help feed those in need with the Power Your Lunchbox Promise! If you have kids (or even maybe if you don’t) I feel like I have two reset buttons each year: September and January. September for back-to-school routine and in January, the start of the new calendar year. Resolutions, goals, a word of the year, maybe you choose to inspire yourself with one of those. One thing’s for sure for us is that come January, we’ve hit a mid-year lunch slump and can always use some new inspiration. I’ll be sharing a recipe for Turkey Apple Honey Pecan Wrap a little later but keep reading so you can find some new inspiration too! I’m excited to be partnering with Produce For Kids again this year for their winter #PowerYourLunchbox Promise campaign. Including a slightly new name, they’ve updated their website with lots of new recipes and added some fun new ways to be involved. 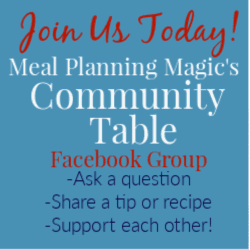 Website recipes include not only lunchbox ideas but also after school snack and easy weeknight dinner ideas too for all those busy school days. In addition to what YOU get for taking the pledge, for every online pledge taken from now through February 17, 2018, lunchbox-friendly companies supporting Power Your Lunchbox Promise® will donate $1 to Feeding America® programs that support families and children which helps provide 11 meals through local member food banks. 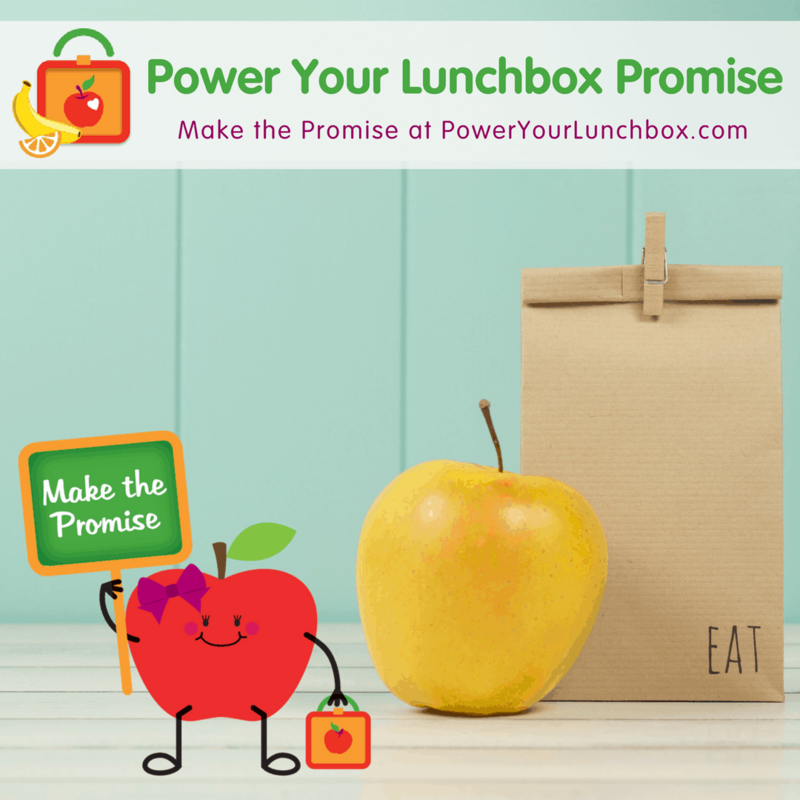 The Power Your Lunchbox Promise campaign gives families the resources to fuel their kids throughout the day with nutritious, produce-inspired lunches while giving back to families in need. During 2017, over 27,000 families and classrooms made the promise to eat a healthier lunch and helped Produce for Kids raise nearly 300,000 meals for families in need through Feeding America! YOUR PROMISE IS A CHANCE TO WIN! Families who make the promise are entered to win an Instant Pot and classrooms will be entered to win a portable collaboration cart! Just visit the Produce For Kids Power Your Lunchbox website by clicking here for more details and to take the promise for your family or classroom. Classrooms across the country can also take advantage of the wonderful resources for teachers in grades K-5 that include fun, free nutrition-focused downloadable lesson plans, certificates for their students and take-home materials for families. Today I’m sharing a new simple recipe for Turkey Apple Honey Pecan Wrap. With it’s salty sweet and crunchy combination, it’s sure to be a hit. Simple to put together for an easy lunch too! On a microwave safe plate, warm the tortilla for 10 seconds on high or until warm. Spread cream cheese on tortilla. Drizzle with honey and sprinkle on pecans. Layer with baby spinach, apples and deli turkey. Roll up tortilla and serve. Parents and teachers, don’t forget to grab your free nutrition-focused lesson plans, promise certificates for student sand take-home materials for families by clicking HERE. Produce for Kids loves seeing what you pack! Show off your healthy lunchboxes using the hashtag #PowerYourLunchbox on Twitter and Instagram to be featured on their website! Be sure to follow Produce for Kids on Facebook, Instagram, Twitter and Pinterest for year-round healthy eating inspiration and updates on the Power Your Lunchbox Pledge.